Brooklyn-based Musician j.viewz is presenting the making of his next album in real-time. The audience of Digital Art Festival are invited to enter the album in the physical space, while it is being made. Through projections of The DNA Project, the audience can interact with every step of j.viewz’s creative process, and explore the evolution of each song from the sources of inspiration, through the people, places, and experiences that shape the album. The audience will also be able to actually peek into j.viewz’s work in real-time through a live broadcast which will take places in designated times throughout the exhibition. Jonathan Dagan, known by his stage name, j.viewz, is an artist who is constantly pushing the boundaries in the creative world. The New York-based songwriter, producer, and visual artist creates multilayered songs that blend raw elements with electronic music through his use of analog tapes, recordings of nature, and often, sounds sent by his audience. j.viewz’s latest musical experiment is the renowned DNA Project, a website presenting the step-by-step making of his next album in real-time. 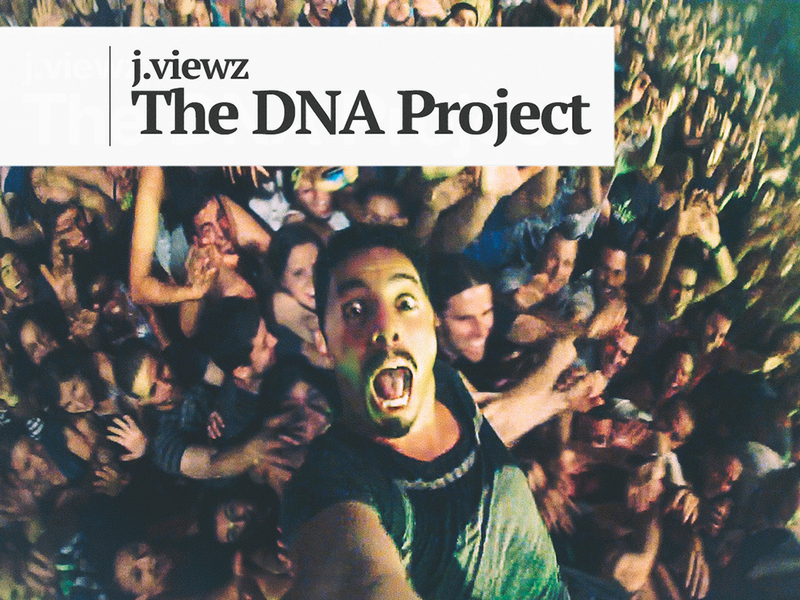 With the DNA Project, j.viewz invites his fans to follow his creative process in its entirety, providing access to the people, places, and sounds that inspire each song, as well as exclusive videos of his writing process, recording sessions, and innermost thoughts during his creation of new music. The DNA Project has already generated buzz in digital communities. The project won the prestigious Cannes Silver Lion Award and was nominated for the Webby Awards. The award-winning website, created by Hello Monday, allows for a near tangible visit into j.viewz’s aesthetic and acoustic world. Despite the novelty of the DNA Project, j.viewz is no stranger to experimenting with the sharing and collaborative aspects of music. His second album, Rivers and Homes, followed a similar concept where subscribers had access to each song as soon as it was ready. Dagan designed a visual journal at the end of this project, which he eventually used to make the package of the album. In 2012, the album was nominated for the Grammy Award for Best Recording Package. Dagan's uncanny ability to draw beautiful sounds from any and everything has garnered a lot of attention in the past few years. In 2013, j.viewz presented his rendition of Massive Attack’s Teardrop on none other than an assortment of fruits and vegetables.